Looking for a fun alternative to a turkey sandwich? 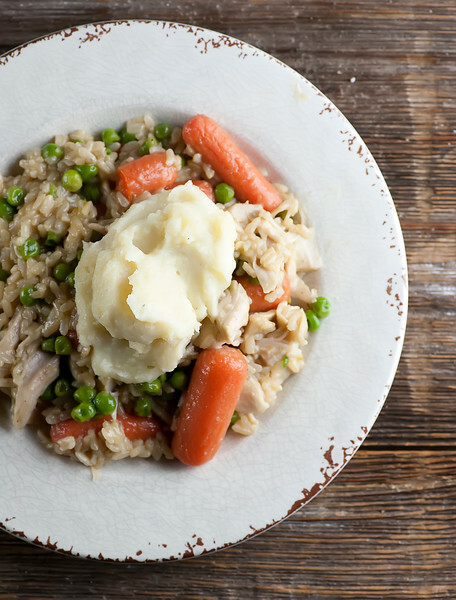 Put those leftovers to delicious good use with this easy recipe for Thanksgiving fried rice! It’s not even Thanksgiving and I am already dreaming sweet dreams of the potential leftovers. And while I am always up for a perfect Thanksgiving leftovers sandwich, once I get that out of my system this is my next favorite way to use up any remaining turkey, veggies and gravy, along with some freshly cooked rice. Say hello to Thanksgiving fried rice, which just might be your new favorite leftovers recipe. Make sure you get your fair share of those leftovers and let’s make it! Thanksgiving is always my favorite time of year (along with my blog birthday) to say a heartfelt THANK YOU to you, my wonderful readers. Framed Cooks wouldn’t be Framed Cooks without you guys, and I am so thankful for your support, your comments, your emails, and you. You warm my heart. I am a lucky girl. And this year, the Southern husband and I are also thankful for this! 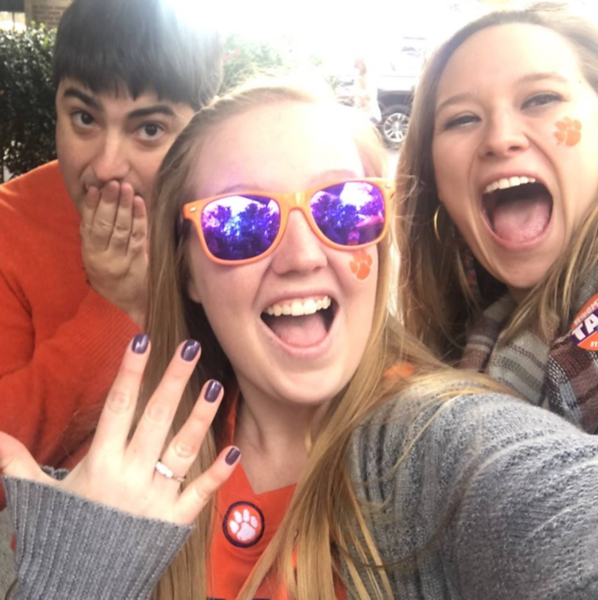 It’s been just over a week since the Southern daughter and her honey got engaged, and we are beyond grateful to be welcoming her fiancé into our family, and to be joining his. What a celebratory holiday it’s going to be! And if I can nab enough of the leftovers, I plan to make this Thanksgiving fried rice part of my celebration plans. Here’s how it goes: nab some turkey, some veggies (I used some leftover peas and carrots), some gravy and some mashed potatoes. Now cook up some rice (either white or brown will do, and please click here for the best way to cook rice) and dump it into a big deep skillet along with the turkey, the veggies and some gravy. Turn the heat on to medium and stir everything around until it is well combined and nice and warm. If you need to, you can thin it out a little with some chicken broth. Meantime, warm the mashed potatoes up in an oven or a microwave (and if you need one for The Day, here is an awesome recipe for slow cooker mashed potatoes from my friend Robyn). When the fried rice is ready, divide it among plates and top it with a generous spoonful of mashed potatoes. And plunk a spoonful of butter on top for good measure. All that’s left to do now is tuck in to a plate of delectable leftovers, aka Thanksgiving fried rice! I’ll be taking a break for the rest of the week (because THANKSGIVING) but will be back next Sunday…in the meantime, all my love and good wishes to you and yours for a delicious, happy, peaceful Thanksgiving. 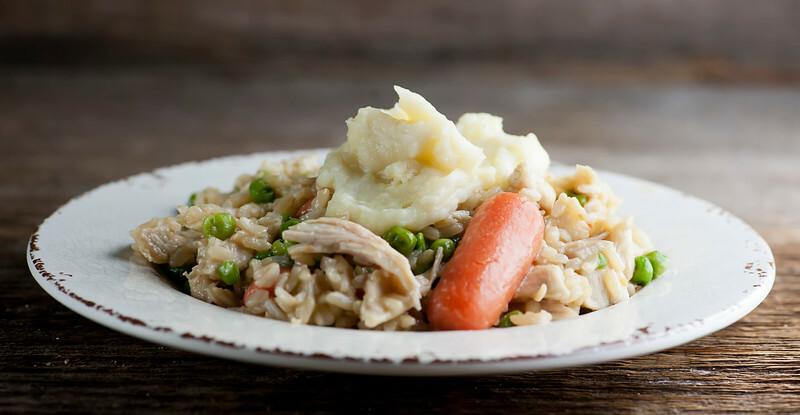 Combine turkey, veggies, rice and gravy in a large deep skillet over medium heat. Stir until everything is well-combined and warmed through. If necessary, add a little chicken broth to loosen up the sauce. Season to taste with salt and pepper. Heat the potatoes in the microwave or in a 350 oven until warmed. Divide the rice mixture among plates and top with a dollop of mashed potatoes. Put a spoonful of butter on the potatoes and serve! Congratulations are in order Kate!! So happy for you and your family! Happy Blog birthday too!! Virtual hugs! Love this fun and unique way to use up Thanksgiving leftovers, definitely more exciting than the typical turkey sandwich! Happy Blog Anniversary! And I feel the same about leftovers, not only just making them warm again as they are, but combining them in new delicious ways. This rice sounds great!